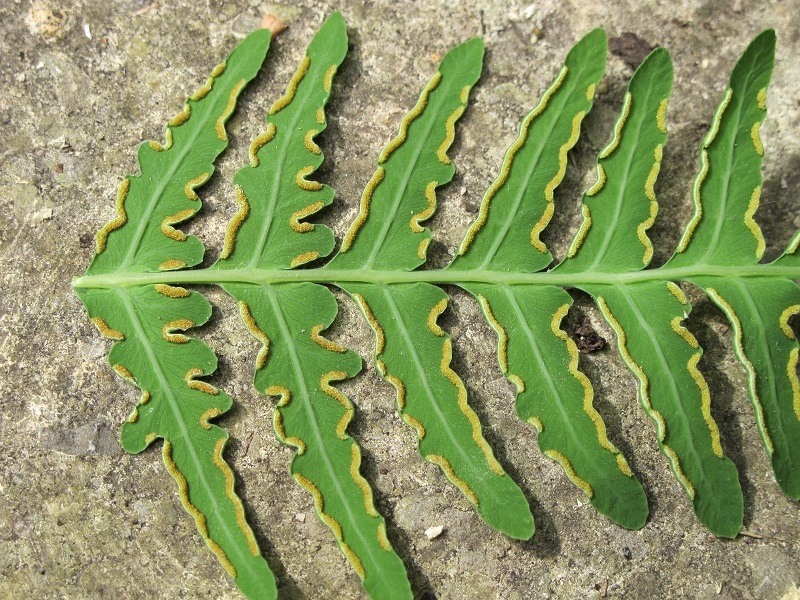 For those collecting spores for the first time, we hope the following pictures will help you find the best time for collecting spores from your ferns. 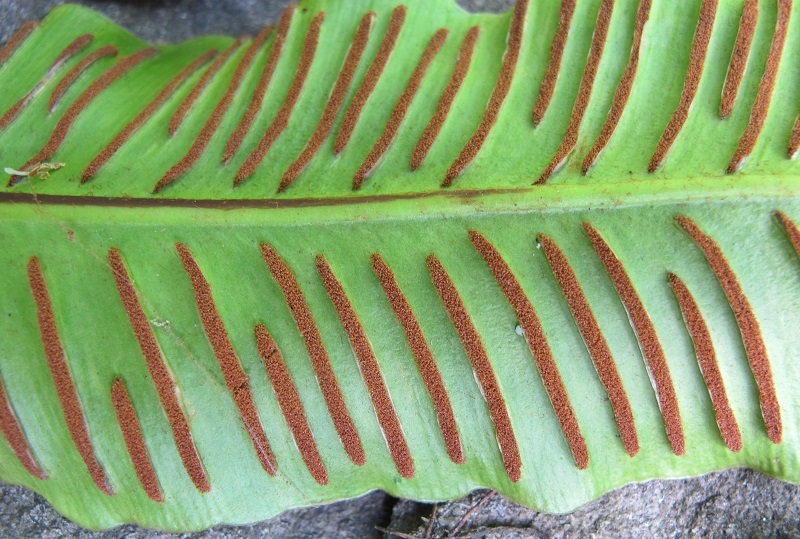 A good genus to start with is Dryopteris. 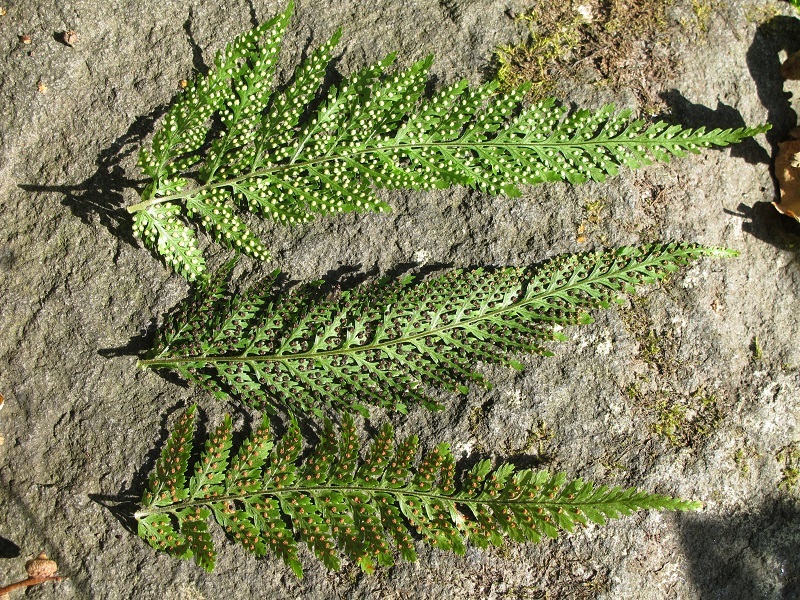 The following three pictures show a typical Dryopteris pinnule from unripe, to ripe and finally shed. On the un-ripe frond the main thing you can see is the cloak of indusium which is covering the spore-bearing structures (sporangia). 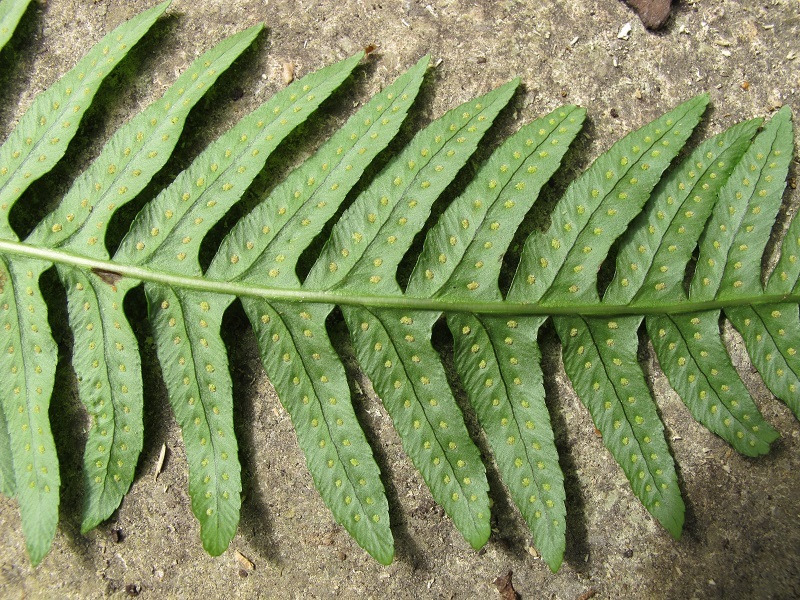 In Dryopteris these are kidney shaped, a diagnostic characteristic for the genus. 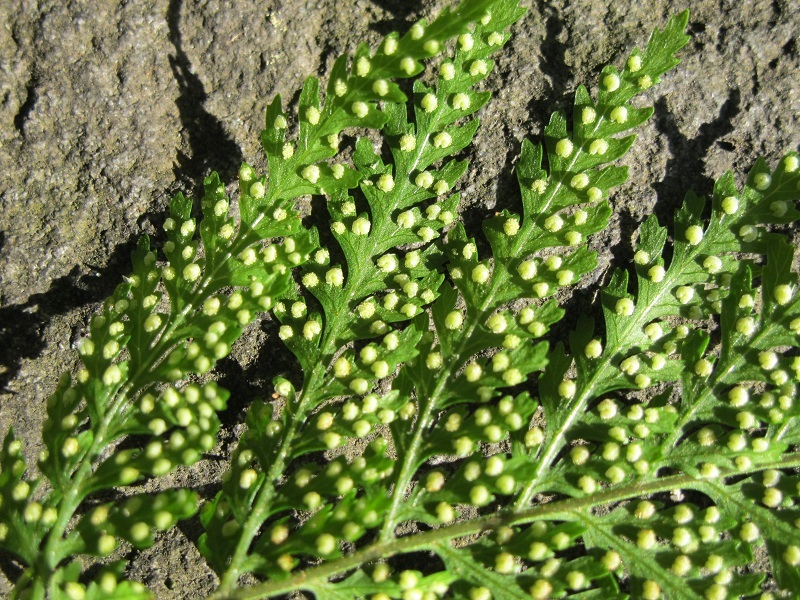 In the ripe frond the indusium has started to shrivel and the ripe sporangia, full of dark spores, are just peeping out looking like clusters of tiny dark marbles. After the sporangia have burst the empty ones look paler and shaggier and, in this case, still retain a top-knot of shrivelled indusium. 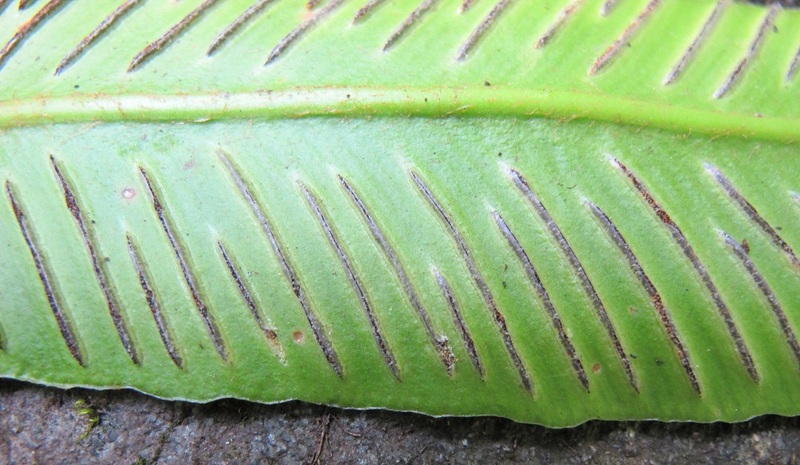 The following picture shows three pinnae from a Lastreopsis, again going from unripe, to ripe, and finally shed. Again, the structures go from pale when the spores are unripe, to very dark as they ripen, and then brown and shaggy when they are spent. The following pictures allow you to see this in more detail. 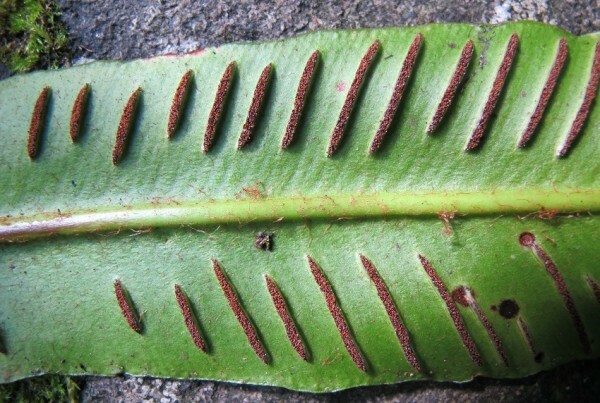 The spore bearing structures are not necessarily round. 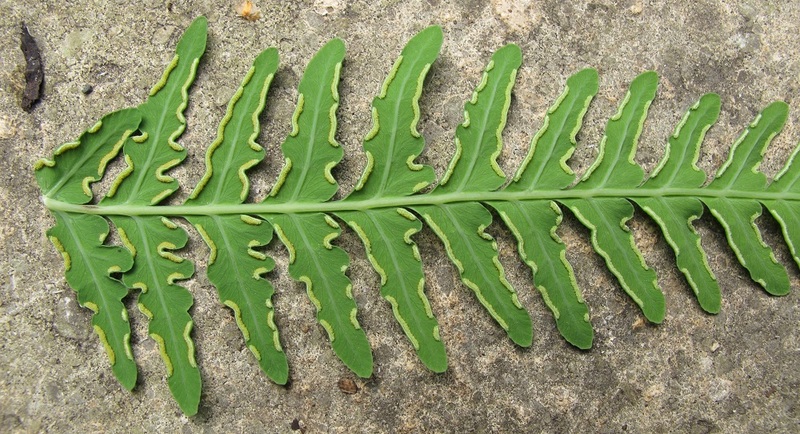 In Asplenium for example, they are linear as the following pictures of the three stages for Asplenium scolopendrium show. Again, the time to collect is when you can see the dark, round sporangia, full of ripe spores protruding from the linear indusium. 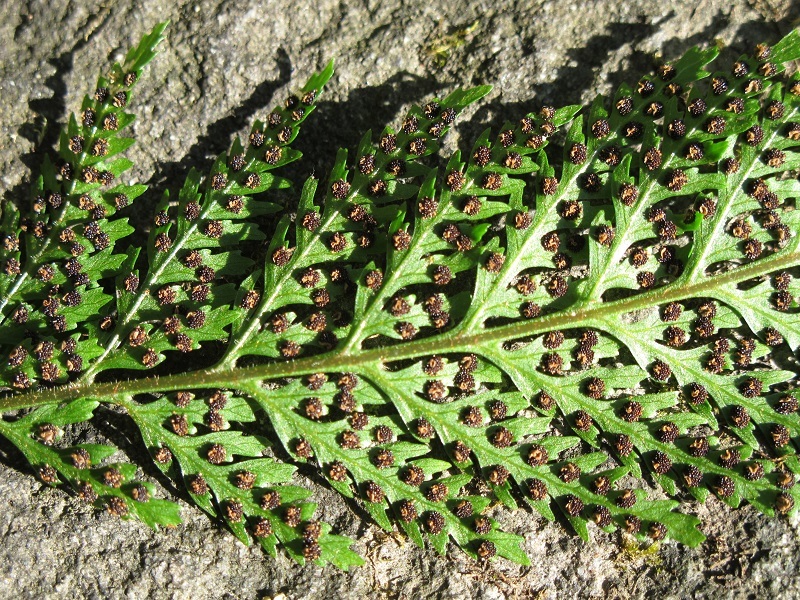 In all these examples, the ripe spores are dark in colour and this is true for the majority of ferns. However, not all! The following pictures show the trend from under-ripe to shed for a Histiopteris, where the spores are off-white. In this case, the unripe and shed fronds are similar to those examples we have seen earlier, but the frond which is ripe is not so distinctive in terms of colour. This makes timing the correct point for collection trickier to determine, but a small hand lens will generally show you when the sporangia have lost their translucent look, have darkened slightly and are full of ripe spores. 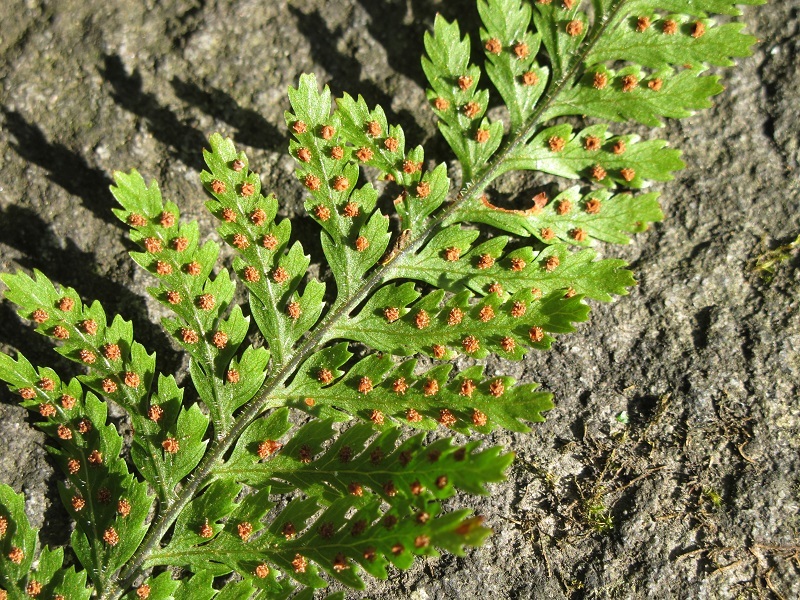 Another similar example is Polypodium, where the ripe spores are yellow. In this genus there is also no indusium so the sporangia are fully visible right from the start. However they are clearly much plumper once ripe. We hope the above examples will put you on the right track to find the correct time to collect spores. If the timing is right, spores should be shed within a day or so, so it is worth looking at them a few days after collection. All being well, you should see a dark shadow following the outline of the frond with a scattering of paler brown chaff. 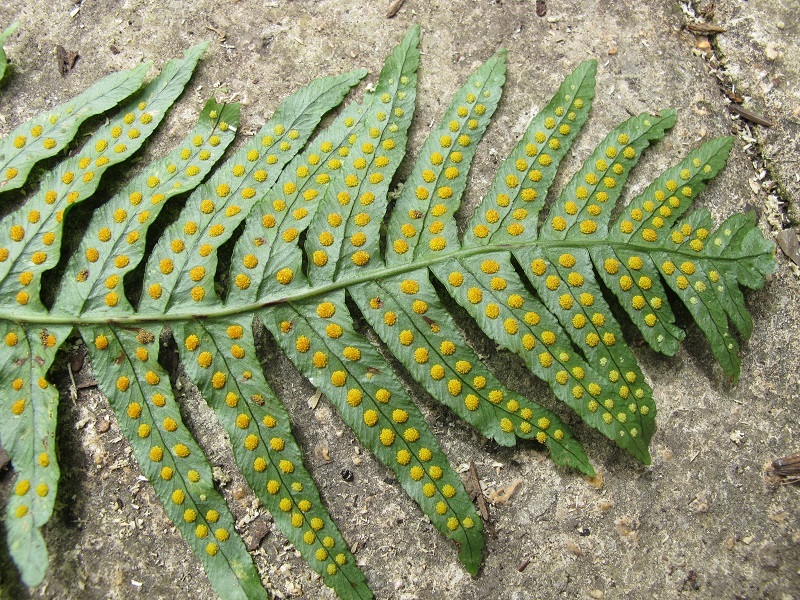 Or, for a genus like Polypodium, a shadow of bright yellow spores with darker, fluffy chaff. If you have collected too late, you will often get a lot of chaff released from the frond which looks pale and shaggy – like the spent sporangia – but with no differently coloured stain underneath it formed by the spores. In this case, you have probably missed the boat for that year. 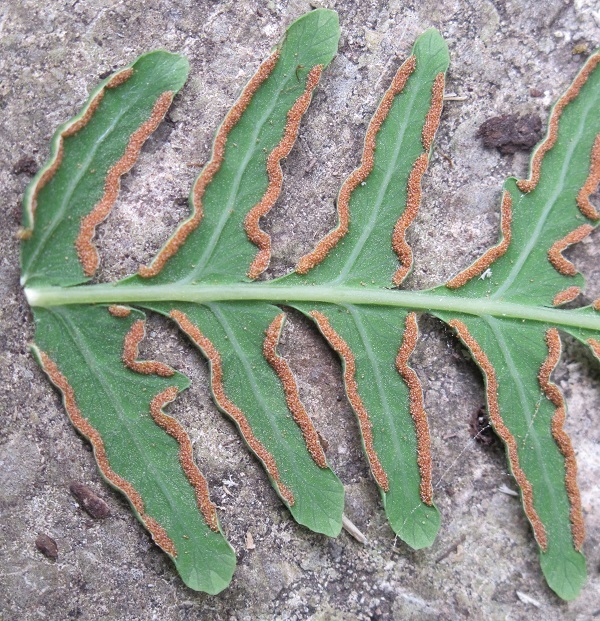 If you have collected too early, you will generally get almost nothing released from the frond, but you can always re-collect in this instance. Hence, it is generally a good idea to err on the early, rather than the late side if you are unsure of your timing as you can always collect again. Once you reach this stage we are very happy to accept the spores along with any chaff. However, given a little practice, spore cleaning is an easy and rather satisfying task. Follow this link to learn how we go about it.